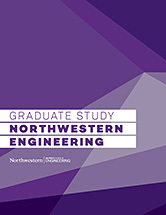 Jorgen Hesselberg (MSIT '07) details his new book and how Northwestern's Master of Science in Information Technology (MSIT) program helped him get where he is today. Unlocking Agility: An Insider's Guide to Agile Enterprise Transformation is a practical guide to how organizations can become more agile. Hesselberg, who is the co-founder of Comparative Agility and lives in Norway with his wife and two kids, shared more about the book and how his time in Northwestern's Master of Science in Information Technology (MSIT) program influenced his thinking and helped him get to where he is today. First off, congratulations on the book! In a few sentences, how do you describe what it's about? Filled with real-world examples, extensive resources, and meaningful guidance, the book is meant for change leaders dedicated to embracing change in all levels of the enterprise. It’s written from the perspective of an insider: I have been an internal change agent with some of the world’s most respected organizations and wanted to share what I learned with others. If you were talking to someone with no knowledge or understanding of agile project management, how would you describe what agile is? At its core, business agility is about embracing change and executing with purpose. Rather than trying to avoid change or building an organization that “can’t fail”, agile organizations benefit from volatility and adapt quickly to changing market conditions. Whereas traditional project management is about following a plan, agile project management is about adapting to change. In a world where change is constant and accelerating, working in a more agile manner is critical for today’s organizations to thrive. Why do you think agile has become so popular in recent years? I think agile has become so popular because people realize traditional ways of working are no longer appropriate in today’s business environment. There used to be a time when you could create sustainable advantages and competition could be held at bay. This created a false sense of security that may have worked in less volatile environments — organizations could get away with a lack of customer empathy as change happened over years and barriers were significant. This is no longer the case. Because of ubiquitous access to information, affordable cloud technologies and global markets, customers have more choices than ever. Organizations that do not adapt to – and anticipate - changing customer needs lose to disruptors in a matter of weeks and months, not years. And no one is immune. Bigger is not better. When the Fortune 500 was established in the late 1950s, the average age of a corporation on that list was 60 years. Today, the average age is 17 years. Business agility is therefore not just a fad or something an organization can consider optional. Companies that don’t respond fast enough risk going extinct. What do you enjoy most about your work with your company, Comparative Agility? I think there are two aspects of my work that I enjoy more than anything else. First, it’s the fact that I get to do my hobby for a living. I believe working in an agile manner is not just something that makes business sense, it’s also a more humane way of working. So this is very important to me. People’s lives are impacted by the work they do. We spend so much of our lives at work – how great if we can contribute to making that time more enjoyable and meaningful. Second, my co-founder, Almir Drugovic, is also my best friend. Working with someone who compliments you professionally and that you connect with on a personal level is very rewarding. Building this company together is special. We certainly have our conflicts from time to time, but at the end of the day we share the same fundamental values and goals, and that makes work incredibly fulfilling to me. When you first came to the MSIT, what was it about the program that appealed to you? It’s hard to isolate just one thing – MSIT was transformative to me. I loved the top-notch professors. Having the opportunity to learn and be challenged by some of the world’s best is a gift. My fellow classmates were incredibly supportive and inspiring, and I still keep in touch with many of them more than a decade later. And there’s the setting itself — coming to the Northwestern Evanston campus every Saturday for two years and spending time learning and growing was an experience I will never forget. What do you think were two or three of the most important lessons that you learned during your time in the MSIT program? 1) Business and Technology are false dichotomies; business IS technology. 2) Your operational strategy needs to support your business strategy. Understand your business model at a deep level and ensure your technology accelerates it. 3) Diverse thoughts and minds can do incredible things. My MSIT study group – aka Brute Force – consisted of people with a great deal of diversity in terms of academic backgrounds, nationalities, age, and business experience. What I initially thought was going to be a liability turned out to be a source of incredible strength. Together, we approached every situation from a variety of perspectives and we became an incredibly high-performing team, a very valuable lesson I’m still benefiting from today. How do you think the MSIT program helped prepare you for where you are today? For one, the MSIT helped me become a more critical thinker and get a more holistic perspective. Getting me out of my comfort zone and delving into the more technical elements of engineering, statistics, and network technologies helped me understand how things fit together. It was also an incredibly valuable experience being in a full-time job and studying at the same time. Sure, it was hectic and demanding, but it also helped me become a better employee, student, and life-long learner. I’d do it again in a heartbeat! The MSIT was rather exotic as a degree when it was first launched a few decades ago. Today, I think having a fundamental understanding of business and technology – and how they interact – is essential to becoming an effective leader in today’s volatile business environment. The first name field is requiredThe last name field is requiredA valid email address is requiredPlease choose part-time or full-time option (or both).